In general, maintaining civility in communication is encouraged. 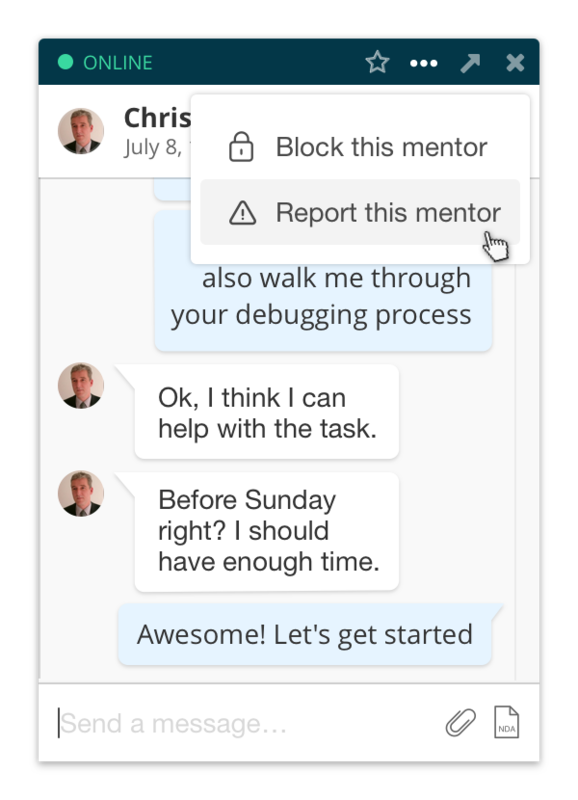 If you encounter a user/mentor who is affecting your experience on Codementor, you can report him or her via chat box directly. For more information about our policies, please see our Term of Service.